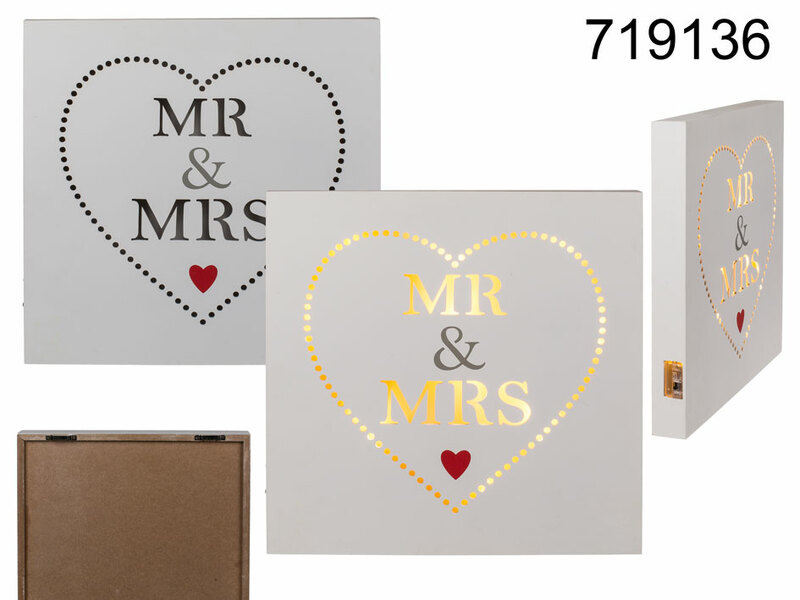 Wooden Mr & Mrs sign with LEDs and a heart. For hanging. Lovely item for couples in love. Battery-operated (for 2 AA batteries - not included). Lovely idea for touching interior design item. Size: 30 x 30 x 3.5 cm.